Episode #169 – I Love Goals, It’s the Execution I Hate. I have lost hundreds of pounds… on paper. HAHA! The funny thing is I’ve never gained weight on paper, that seems to happen the natural way. Exercising, such as running or yoga class, is much easier on paper than it is in the real world. Same goes for not eating cookies and instead eating two salads a day. 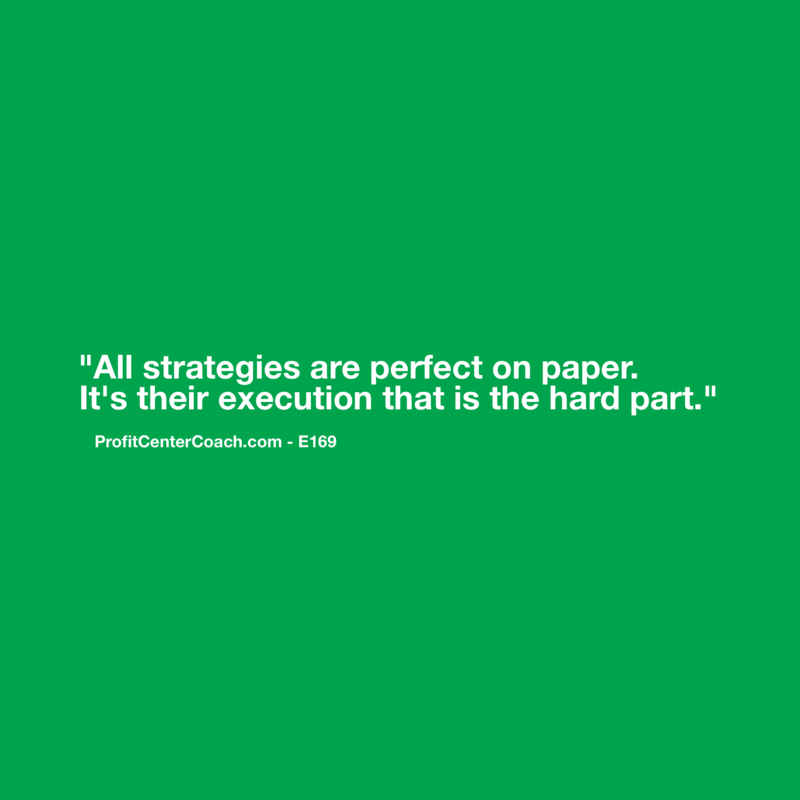 Execution is the hard part. So how many of you have created the perfect plan on paper only to find the “implementation thing” is a little harder? It’s not that you don’t want to be thinner, healthier, wealthier, it’s just that implementing is real work, often more than you anticipate. That’s when it’s time to adjust and motivate. Don’t give up on the big dream but break it down into chunks. 1-Achieving the smaller goals will motivate you. Use measurable sources. Let’s say you are increasing your presence on social media. One way to measure this is to use number of likes. You have a starting point and a daily progression. The better way is to measure engagement of your posts. If you have likes to the post and comments you have a better tool for measurement. Remember the engagement is the key, not simply fan following. 2-Another good motivator is to relive past successes. This is especially important when you feel overwhelmed. Look to a big success and remember it fondly. Another part of remembering the feeling you had is to remember what brought about the success. There was a formula, look to see if you’re “forgetting” something that worked in the past. 3-Inspire yourself. Take a break to watch a motivational video or listen to an audio book. Take a walk. Do something that breaks your pattern. You’re a small business owner, you don’t have the advantage of a large human resources department that will encourage seminars or health/wellness breaks. You need to do this yourself. You also may not have the time for a “trip” but you certainly have 30 minutes… right??? I’ve got more ideas in the article on my website to help motivate you and for goal setting. Just simple easy things to keep you going. For me, audio books have been a huge motivator. I listen in my car. It’s a great way to escape the “crazy”! What is your favorite “escape time” motivator thing to do when you feel overwhelmed? 1- Identify your big plan’s big result. 3- Carve out 30 minutes every day… EVERY DAY to have a motivation time. I mean EVERY DAY.